Make Up For Ever Holiday 2015 Collection | Top Beauty Blog in the Philippines covering Makeup Reviews, Swatches, Skincare and More! 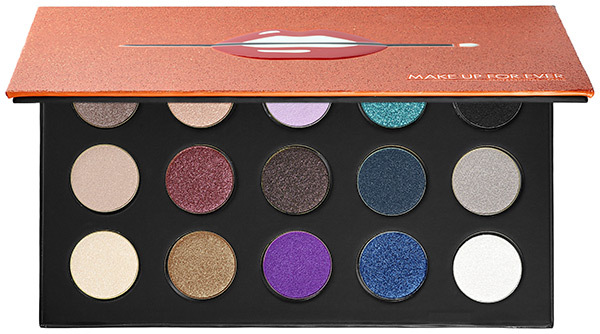 MAKE UP FOR EVER 15 ARTIST SHADOW PALETTE ($59.00) (Limited Edition) - This 15-shade palette featuring the breakthrough Artist Shadow formula lets you create endless eye looks with infinite combinations. The advanced gel-powder formula blended with ultrafine pigments provides vivid color payoff and superior blendablilty. An artist’s favorite, Artist Shadow leaves a smooth, even finish that gives lids super-saturated, lasting color. Arranged into five easy-to-apply color trios, this extensive collection ranges from soft, subtle neutrals to daring bolds and brights. The included step-by-step leaflet lets you effortlessly create endless holiday looks. 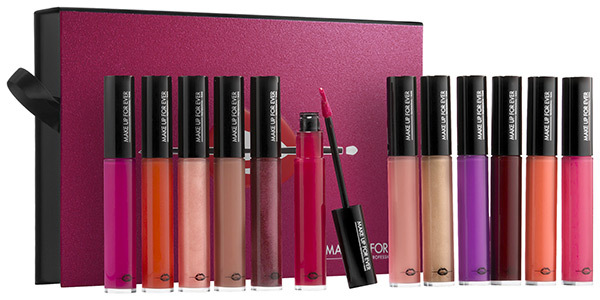 MAKE UP FOR EVER ARTIST PLEXI-GLOSS COLLECTION ($150.00) (Limited Edition) - This premium Artist Plexi-Gloss limited-edition collection features 12 super shine shades — a different color for every mood and moment. The innovative, non-sticky Plexi-Gloss formula creates looks ranging from sheer to opaque with a high shine that stays put. Its pigments are packed with Plexi Color Technology to deliver up to five hours of color impact while reflective shine beads maximize shine. The exclusive, artist-designed superflex applicator features a lip-hugging shape that allows for precision and control, and the super-loaded split-tip has a unique contour to sweep on the ideal amount of lip lacquer. MAKE UP FOR EVER ARTIST PLEXI-GLOSS KIT ($43.00) (Limited Edition) - This must-have quartet of Artist Plexi-Gloss gives lips buildable color with shocking shine. The innovative, non-sticky Plexi-Gloss formula creates looks ranging from sheer to opaque with a high shine that stays put. Its pigments are packed with Plexi Color Technology to deliver up to five hours of color impact while reflective shine beads maximize shine. The exclusive, artist-designed superflex applicator features a lip-hugging shape that allows for precision and control, and the super-loaded split-tip has a unique contour to sweep on the ideal amount of lip lacquer. 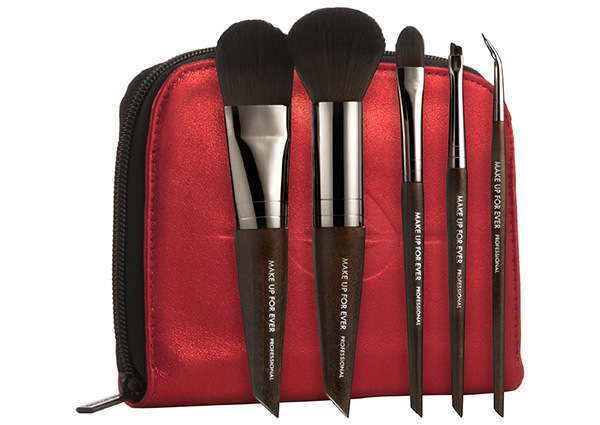 MAKE UP FOR EVER CULT BRUSH SET ($86.00) (Limited Edition) - Perfect for home and on-the-go, this holiday Cult Brush Set features five pro-artist favorite makeup brushes with beveled tips for ideal, professional application. Packaged in a chic carrier pouch, this travel collection features top quality hand-crafted favorites for the eyes, cheeks, and face so you can be your own makeup artist on the go. 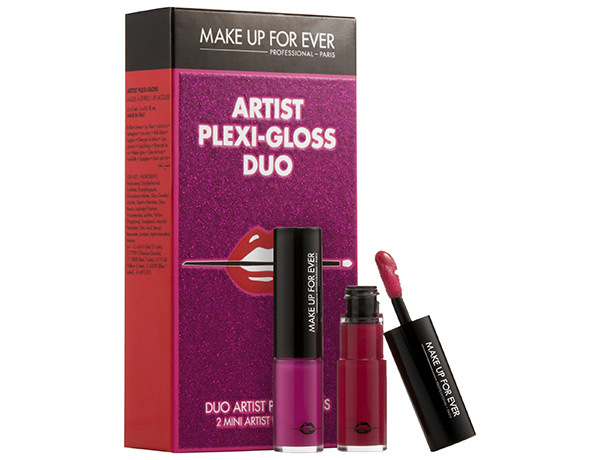 MAKE UP FOR EVER ARTIST PLEXI-GLOSS DUO ($20.00) (Limited Edition) - This must-have colorful Artist Plexi-Gloss Duo features two innovative, non-sticky glosses that go on smoothly and create bold opaque finishes for a stunning look. The pigments are packed with Plexi Color Technology to deliver up to five hours of color impact while reflective shine beads maximize shine. The exclusive, artist-designed superflex applicator features a lip-hugging shape that allows for precision and control, and the super-loaded split-tip has a unique contour to sweep on the ideal amount of lacquer. 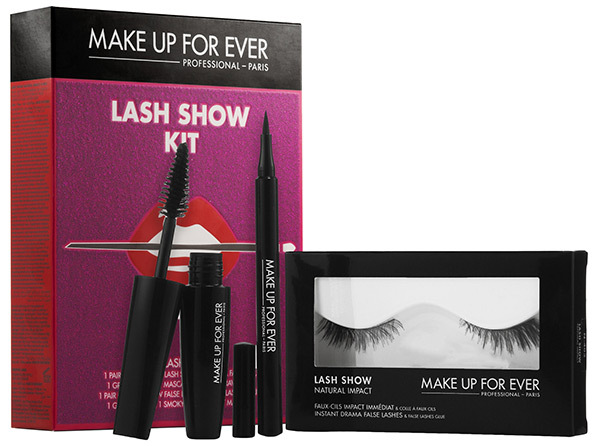 MAKE UP FOR EVER LASH SHOW KIT ($32.00) (Limited Edition) - These pro-inspired false lashes give eyes dramatic volume, length, and impact. Handmade from the highest quality synthetic fibers, the reusable lashes feature weightless comfort with a super-slim flexible band. The gentle latex-free glue is long lasting and safe for sensitive eyes. Graphic Liner provides an ultra-fine, carbon-black line. Smoky Extravagant Mascara adds length, volume and curl for even more wow. The dual-purpose, cone-shaped brush has a precision tip that separates lashes as the rounded base creates extravagant volume. I love MUFE and totally would love the brushes and lippies, so pretty! I want the brush set! OMG I need that palette! So beautiful! Love these holiday pallettes! Love make up for ever products! Vorrei tutto. Mi piace la palette. That eyeshadow palette looks so beautiful! These would make exceptional gifts! 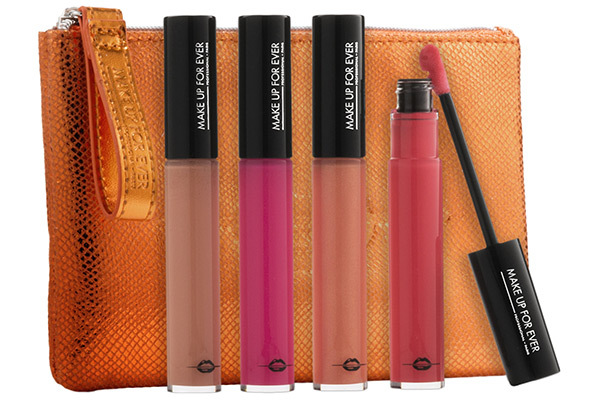 I need that lipgloss set, so beautiful shades. Ohhh, I need this brush set!!! !